when one refers to classic reggae entertainers, freddie mcgregor comes to the forefront, a household name for music lovers of the diaspora. as an internationally acclaimed singer, songwriter, producer extraordinaire, freddie has achieved a remarkable 40 year tenure in the music business and is considered jamaica's most consistent recording artist elevating his status to jamaica's supreme reggae ambassador. to his credit are a legion of hit songs to include that of, i see it in you, one of his latest from the "signature" album; push come to shove, africa here i come, reggae ska, guantanamera and the monster signature tune big ship; synonymous with that of his record label and recording studio operation. taking control of his career that blossomed from an early age of seven, freddie's exemplary commitment to a high standard of excellence, emphasizing quality rather than quantity is the ingredient for his sustenance in this often-cutthroat industry. simply reflected in his attitude as quoted: "i always think of myself as one trying. so forever i will always try to better the next effort and i think you have to look that way as an entertainer, cause from the time you tell yourself that you reach the top, that is where everything stops cause there is no further to go." his latest release, "anything for you" maybe the apex of freddie's work so far, subsequent to the release of "signature." at a tender age of seven, freddie was influenced greatly through the 'motown of reggae' producer clement "coxsone" dodd at studio one. under his tutelage and with mentors such as legendary reggae acts, bob marley, alton ellis, ken boothe, bob andy freddie finessed his talent and has advanced to his rightful place today as one of the reggae legends. early tracks; why did you do it, do good and good will follow you marked his debut and entry into the reggae fraternity. freddie credits the quality and style of his music to that of his educational experience at studio one as quoted: "if i couldn't learn anything from being there at studio one, then i definitely was not meant to be an artist of this caliber." he teamed up with ernest "fitzroy" wilson in the mid-sixties to form the duo freddie and fitzroy while he continued to focus on developing his craft. however, it was only at the time when freddie joined the harmony duo the claredonians that he began to attract a wider audience. it was at this time, he to forged his musical style - with aspects and influences of america's rhythm and blues exhibiting the passion of stevie wonder, the breathless emotions of eddie levert, and the immaculate tones of the late phillipe wynne of the detroit spinners. despite a number of well-received releases and increased popularity throughout europe, a real breakthrough track would elude him. yet, the decade of glam rock, the bay city rollers and the rise of bob marley was still a productive one for freddie as well as his experience as lead singer for generation gap, soul syndicate and his strong ties with earl "chinna" smith. floating on the periphery of stardom with the ultimate aim for a real breakthrough in mind freddie pressed on. it was in 1975, freddie's musical and lyrical content changed as he was sworn into the rastafarian faith. with a strong slant towards roots and culture and lyrics of consciousness influenced by his faith, freddie released popular tunes; mark of the beast, sgt. brown, i am a rasta, rasta man camp. in 1977 freddie released his long awaited album "mr. mcgregor" produced by niney the observer who contained reggae mainstays such as; zion chant, rastaman chant and walls of jericho. this release marked a major milestone to his successful singing career. while he continued to record for studio one releasing hit tunes such as africa here i come, come now sister and reggae classic bobby babylon he embarked on producing session work and began arranging for judy mowatt, producing her lp, "black woman", johnny osbourne and jennifer lara. the eighties marked a dramatic change for the reggae genre as dancehall music begin to emerge. it was at this time, the reggae fraternity and the world at large, experienced the loss of music icon, bob marley in 1981. the fraternity sought to recognize a reggae superstar to take the mantle of reggae ambassadorship. although freddie mcgregor had been wallowing behind such gargantuan luminaries like dennis brown and gregory isaacs in the seventies, his 1981 big hit big ship took him right into contention. 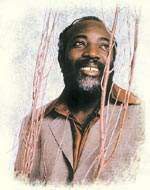 produced by linval thompson and roots radics, big ship, became one of reggae's 'classics' and the hallmark of his recording career as well as the name for his studio operations. since then, freddie has not regressed. freddie's accolades continued to grow as he earned international recognition for his work. push come to shove, the biggest reggae single in 1986 became his first hit tune to touch the uk music charts. just don't want to be lonely, a cover of the main ingredient's original single went to number nine on the uk national charts, prompting the polydor label to enter into agent contract relationship with freddie mcgregor. by this time freddie was, as he remains today reggae's premier recording artist. as it turns out, polydor could not match freddie mcgregor meteoric rise to the top of the reggae industry with the necessary commitment to support his career demands. polydor, caught up in industry politics, found it necessary to sever ties with freddie mcgregor. yet the experience would turn out to be an unexpected benefit for freddie as he states, "if you are dropped from a record company for whatever the reason, they expect your career to fail thereafter. but i must do the work god have me out here to do, i have to accomplish it." in 1989, freddie launched his own record label "big ship" with "jamaica classics volume one" as the first major release. little roy's prophecy, derrick harriots's, the loser were a part of this compilation. the demand was so great that it prompted the subsequent release of volumes two and three. the project not only kept freddie vibrant in the marketplace whilst many of his peers were at a downturn in their careers, it gave him an opportunity to share his creativity and guidance, giving back to the community by supporting a new generation of aspiring young artists. he believes in preserving the art form, "with our music industry, especially, we have to realize that the music is bigger than all of us. all of us have to leave the music too. what we must do is protect the music, so the music can last." to make honorable mention to the scale of operations today, big ship is the largest and most recognized reggae label in japan, while his studio maintains the highest caliber of reggae artists like general degree, cutty ranks, mikey spice, benjy myaz, and his daughter yeshemabeth. big ship handles production, manufacturing, distribution and promotion. 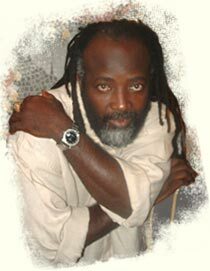 freddie mcgregor continues to please reggae fans and music lovers all over the world. he is the most celebrated artist to headline japan "jumping splash" since 1985 (except in 1995) and has shared the stage with popular artists such as aswad, inner circle, diana king and anthony b. he was the first reggae artist to play for the hopi indians in arizona. freddie has headlined reggae sunsplash on clapham common in 1987, performing to an audience of 300,000 fans, the cartegena festival in colombia for the past eighteen years, and at midem in 1997. his popular tune 'lovers rock' was featured in the critically acclaimed hbo exclusive disappearing acts. despite it all, freddie is not content and strives to higher heights and deeper depths. recently he performed for president mandela and hrh prince charles, as the headline act for the jamaican expo in 1997 opened by her majesty the queen. in october of 2000 he performed with john holt and the royal orchestra at the prestigious london hammersmith apollo that sold out two consecutive nights. live at the apollo in ny recently saluted freddie with a 'living legend' tribute, representative of 40 years as an entertainer. on august 8, 2003, freddie was honored by jamaica's prime minister p.j. patterson with the prestigious 'award of excellence'. with his most recent album, entitled 'anything for you,' nominated for a grammy (his 36th to be exact), freddie mcgregor continues to soar to new heights and gain international notary and success in the music industry and beyond.